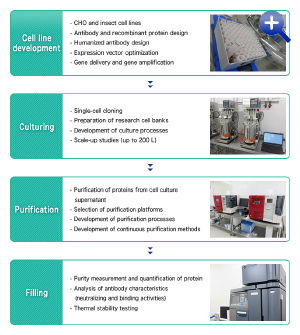 Pharmaceuticals｜Biopharmaceuticals (CDMO business)｜R&D｜Contract services｜API Co., Ltd.
We offer services to support early-stage research in the development of biopharmaceuticals, from cell development to filling of active pharmaceutical ingredients for use in non-clinical studies and a full range of analyses. We conduct testing in accordance with Standard of Reliability of Application Data. We can also conduct design space studies in QbD. 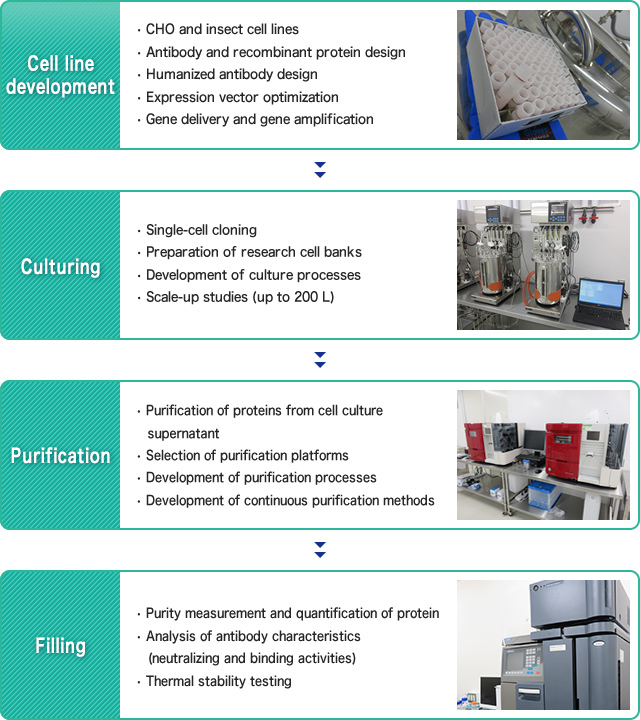 We have a 200 L bioreactor, and we can accommodate culturing and purification processes from micro-plate scale to pilot scale. 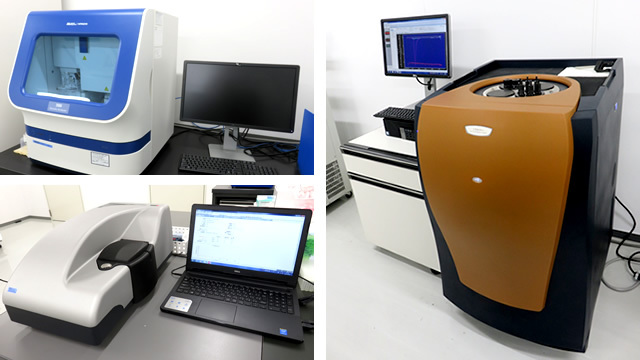 We can perform protein analysis (molecular interaction, thermal stability, etc.) and gene analysis. For protein analysis by chromatography. For expression analysis by ELISA and cell-based assay. Allows us to analyze protein characteristics such as physical and chemical properties, purity, and impurities.